Dr. Malkin received his medical degree from the University of Toronto and completed his residency in pediatrics and pediatric hematology/oncology at The Hospital for Sick Children. After completing post-doctoral research training at Harvard University, he returned to Canada to accept a faculty position at SickKids and University of Toronto. 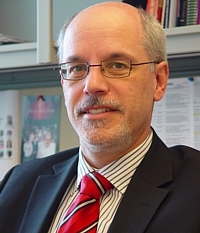 Dr. Malkin is currently a clinician-scientist and pediatric oncologist in the Division of Hematology/Oncology, Director of the Cancer Genetics program and Associate Chief of Research (Clinical) in the Research Institute at SickKids, and a Professor in the Departments of Pediatrics and Medical Biophysics, University of Toronto. As a Senior Scientist in the Genetics and Genomic Biology Program in the SickKids Research Institute, his research program is primarily focused on genetic mechanisms of childhood cancer susceptibility, and the genetic basis of childhood sarcomas. His research team was the first to demonstrate that highly variable regions of DNA, termed copy number variations, are found in excess in the blood of some people, both children and adults, at very high risk of developing cancer, and may represent the earliest genetic changes that ultimately lead to development of cancer. Dr. Malkin has published widely in the fields of cancer genetics and sarcoma biology and has a long-standing interest in developing guidelines for the clinical application of molecular genetic testing to the setting of childhood cancer susceptibility. He is a Board Member of several national and international cancer and research agencies, and serves on numerous national and international research grant agency panels. He is also Medical Director of Camp Oochigeas – a recreational camp for children with cancer in Ontario.